If you never rode the 'coaster at Shara in Las Vegas you've officially missed out. The hotel decided to take it down amid the total shutdown of the resort that's slated for May 16th, 2011. Most of the rides operators decided to get other jobs leaving the ride without any really to effectively operate it. 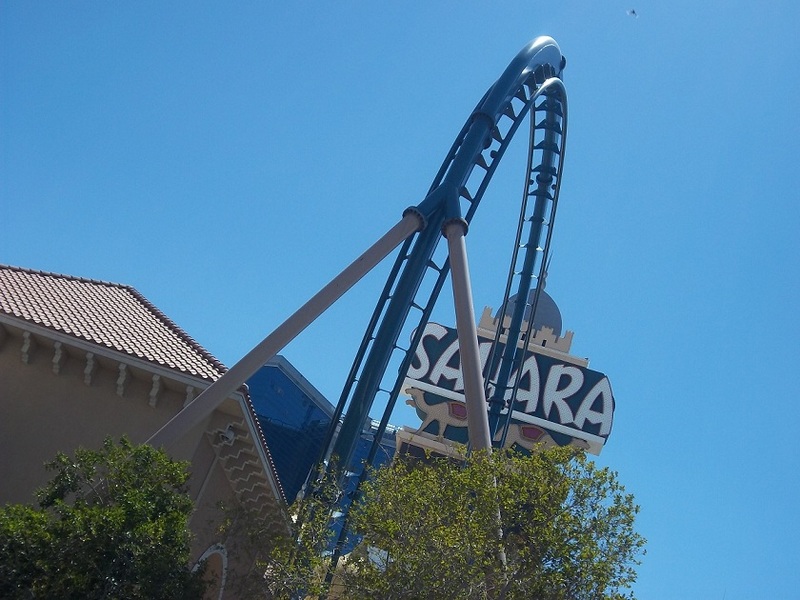 The 1 million dollar ride opened 11 years ago at the Saraha that opened back in the "rat-pack" era in 1952. Rumor has it that the Saraha will be imploded then a new resort will be coming it's way. Such is life in Vegas, out with the old and in with the new.